NBC4 Southern California and Telemundo 52 Clear the Shelters initiative proved to be a big success with more than 2,500 animals finding forever homes throughout Southern California. Nationally, nearly 20,000 dogs, cats and many other types of animals were placed in homes thanks to this first of its kind pet adoption campaign. Visit the NBC4 Community Photo Gallery and the NBC4 Clear the Shelters page for photos and video of heartwarming stories of animals and families that connected on August. 15. The national day of action was such a sucess that next year's Clear the Shelters date has been set for Saturday, July 23, 2016. Stay tune to NBC4 for more details and continued coverage on the main channel, at NBCLA.com, on the free NBCLA app and across all social media platforms @NBCLA. Join NBC4 and Telemundo 52 are bringing together nearly 50 animal shelters in Southern California on August 15, 2015 to encourage adopting a pet from a local shelter at a reduced adoption fee of $20. Visit www.NBCLA.com/cleartheshelters for details. UPDATE: Visit the following four animals shelters on August 15 before the time indicated below and NBC4 will pay the $20 adoption for the first 10 people in line (excludes any additional fees). The public is encouraged to take advantage of the offer by arriving early, and bring the family to join NBC4 as we go live from these locations. 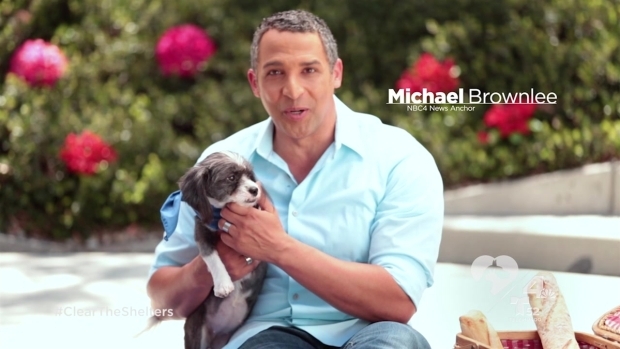 Visit www.nbclosangeles.com/cleartheshelters for shelter addresses. NBC4 Southern California and Telemundo 52 announced on July 20, 2015 that they are teaming up with nearly 50 animal shelters in more than 400 cities and regions throughout Los Angeles, Orange, Riverside, San Bernardino and Ventura counties on a first-of-its-kind pet adoption initiative — Clear the Shelters — on Saturday, August 15. Part of a national initiative spearheaded by the NBCUniversal Owned Television Stations, Clear the Shelters connects Southern Californians with local animal shelters to find new homes for homeless pets. On this national day of action, participating animal shelters in Southern California will offer a reduced adoption fee of $20, and open their doors from 10 a.m. to 6 p.m.
Local sponsor VCA Animal Hospitals will have their expert veterinarians and health care teams on-site, and all pets adopted during the event will receive a limited health guarantee and a gift bag filled with pet essentials. NBC4 and Telemundo 52, along with several anchors and reporters, will visit select shelters to celebrate with those who adopt, including a red carpet for adoptive parents and their pets, photo opportunities and a live stream at www.NBCLA.com. The public is encouraged to begin posting photos with their pets on social media using the hashtag #CleartheShelters and #DesocuparAlbergues. Photos will be posted on photo galleries at www.NBCLA.com and www.Telemundo52.com beginning the week of July 20 through August 15. Additionally, a special hosted by Natalie Morales, news anchor and co-host of NBC News’ TODAY Show, will air on Saturday, August 22. The Telemundo stations will also air the special with co-hosts Elva Saray, host of Telemundo 52 Los Angeles daily entertainment show, Acceso Total and Jessica Carrillo, host and reporter for Telemundo network’s Al Rojo Vivo (check local listings). A special, “Life Connected: Animal Tales,” highlighting local pet-related stories, will also air on NBC4 on August 8. The Clear the Shelters effort will take place in 19 markets across the U.S. and Puerto Rico. On Saturday, August 15, 11 NBC-owned stations, 17 Telemundo-owned stations, the NBCUniversal-owned regional news network necn and more than 300 local animal shelters across the country will match up thousands of homeless pets with new homes. This initiative marks the first time that the NBCUniversal Owned Television Stations have joined forces on an initiative like Clear the Shelters. For more information about Clear the Shelters and a list of participating shelters, visit www.NBCLA.com/cleartheshelters. 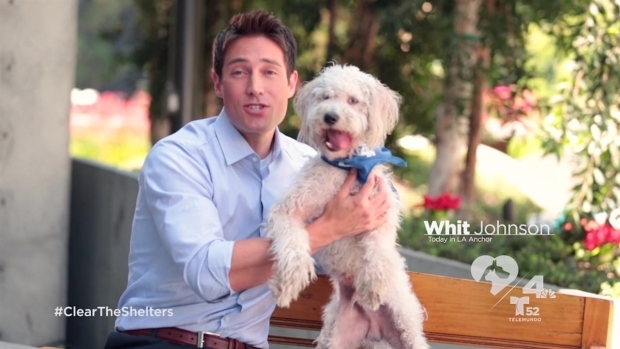 You can also follow the effort on social media @NBCLA with hashtag #CleartheShelters and #NBC4You.